After experiencing some major changes in my life and deciding to sell my home, I searched and visited many communities in an attempt to find the perfect fit for my lifestyle. After my initial visit to Villages of Seloy, I found myself returning on multiple occasions to revisit the neighborhood. The staff in the sales office told me about Debbie da Silva and gave me her contact information so I could speak to her about the sale of my home and the possibility of purchasing a unit in Seloy. She is very knowledgeable about the state of the market and was able to give me great tips to prepare my home to be sold. When the time came to put my house up for sale, she had many resources available to market the property and she was always available if I had questions or needed advice. I am very grateful for her support and guidance during the process, and I have the utmost respect for Debbie and the entire team here at Villages of Seloy. Thank you! It is our sincere pleasure to give Debbie Da Silva the highest recommendation possible if you are looking to buy or sell a home. Due to our profession, we have moved many times across the country and no one has done a better job than Debbie is selling our home or buying a home. Living in Colorado and buying a home in Florida can be cumbersome, but Debbie made it easy. She was professional, hard working, organized and took care of every detail from evaluating properties to closing. Not only was the process worry free, it was hands free as Debbie took care of every detail. She was relentless in assuring our goals were met and really went beyond in making sure our home was ready at closing. Without hesitation, we trust and recommend Debbie for your real estate needs. My wife and I were looking for a retirement property in the St. Augustine/Jacksonville area, moving from MD. After searching on our own we decided to give Debbie a call in regard to a property she was listing and we were interested in receiving more information on. Our experience with Debbie was extremely positive from beginning to end. She took the time to meet with us three times over a nine month time frame. Her calm and professional demeanor made the process easy, as she guided us toward our current home recently purchased in St. Augustine. She listened to our needs throughout the process and was highly responsive to our needs. When looking for a realtor in the St. Augustine/Palm Coast/Jacksonville area, we would highly recommend Debbie. Three years ago, we decided to sell our house and simplify to a more relaxing, low-maintenance lifestyle. We were not sure what we wanted to buy, and we were not sure exactly where we wanted to live. Our search took us to several communities and housing options. We were so excited when we responded to a newspaper ad and discovered Villages of Seloy. We found Villages of Seloy to be a gem of a find. From the moment we entered the gates and drove to the clubhouse, we had a warm and welcoming feeling. After meeting Frankie, seeing the luxurious models, viewing the grounds, and learning of the many amenities the community had to offer, we were hooked. Villages of Seloy is a treasure for many reasons. The location is perfect for quick access to I95. In addition, shopping venues, historical points of interest, and a number of beaches are nearby. We had been interested in living in St. Augustine for some time, but, until visiting Villages of Seloy, we had not found a place that seemed like home. We closed on our gorgeous condo this morning, and we could not be more excited and proud. Frankie, Tudy, Joe, Betsy, yourself, and Kelly have been wonderful. We would like to thank you and your staff for not only helping us find our dream home, but for helping us throughout the purchasing process. We are so glad to be Villages of Seloy’s newest residents, and we look forward to new adventures as well as an enjoyable transition into a wonderful retirement. We are so thankful to have had Debbie da Silva as our Realtor in the recent sale of our home. It was truly a pleasure working with her! After buying and selling our homes over the last 25 years with many Realtors, we can honestly say Debbie was the best Realtor we’ve ever had. From the start to finish, she was very professional and thorough in managing the sale of our home. Her knowledge and her attention to detail was clear in all aspects of the process, starting with her market analysis through to our closing. The beautiful marketing brochure of our home and web presence on multiple MLS sites brought interested buyers quickly. When our first cash offer fell through, Debbie quickly followed up with another interested buyer’s Realtor and had another offer to us within a couple of days. Throughout the ups and downs of the process, Debbie was always available to cheerfully provide support, answer questions and keep the process moving smoothly. We highly recommend Debbie da Silva if you are looking for a Realtor. She is truly exceptional! I wanted to recognize your efforts in finding our fabulous Florida home and guiding the process to a successful closing a few weeks ago. The Villages of Seloy is the type of community that we were hoping to find. The choices of floor plans and options to customize final finishing provided the opportunity to make the house ‘our’ home. Your approach, professionalism, and attention to detail were the keys to a great outcome. You listened to our wants/needs and even introduced us to another seasoned agent to explore properties closer to the core of Jacksonville. Your first objective was to find the best home for us rather than just selling real estate; a rare find these days. You showed us properties in the greater St. Augustine area, which included the Villages of Seloy, and we knew we were on the right path. Your support staff reflects your approach: friendly, honest, solution focused, and orientated toward serving the customer. Strong leadership of the group is evident as there is consistency from each team member: understanding the customer’s needs and finding solutions. A very creative and successful culture! Beyond your attributes described above, you individually want to make people feel at home and reduce their stress level as much as possible. A few above and beyond examples are: loaning us an air bed with sheets and pillows which allowed us to sleep in our home before our household goods arrived, making arrangements for a place to store my 60+ orchids (no cost) after we sold our prior home and before we closed on our new place, thoughtful gifts at the closing to welcome us to the community, a couple of bottles of wine to celebrate, and of course, your rapid response time to move the process forward and resolve issues. The Seloy neighborhood truly has the feel of a community: friendly neighbors, common interests, supportive and engaged management, open dialogue, and a Vision to build a sustainable community. Guillermo (Owner’s Representative), Kelly (Construction Director), and yourself are the people who have made the Villages of Seloy successful. Thank you! I can't say enough compliments about Debbie DaSilva. She found me a wonderful house, got me through a challenging loan process, negotiated on my behalf, and made the process of buying a home much easier. She is always available for questions, even repeated ones, and her professional, level headed manner was beyond reproach. If you need a realtor in the Jacksonville Saint Augustine area, contact Debbie. I cannot say enough about Debbie DaSilva. Not only does she possess incredible business and real estate acumen, but she is a consummate professional in her industry. From beginning to end in my home buying process, Debbie always put my best interests first and foremost in the negotiations. She took time to listen to my needs and the process was so much more expeditious having her by my side making recommendations and taking care of all paperwork. Now I'm looking for a rental property and will of course enlist the help of Debbie once again. My husband and I relocated to St.Augustine, FL from Long Island, NY two weeks ago. We put our home up for sale in February, and once the house was under contract, we flew down to St.Augustine for a week in late March to look at properties for our new home. Debbie da Silva was our real estate agent. As soon as we met her, we felt an instant connection. She completely understood our concerns about finding a condo before we closed on our NY home. She set aside several hours each day to take us around and visit both private homes and condos. We left FL having put down a binder on a lovely condo. With our NY attorney's blessing, he approved on a closing date which would be a week after our scheduled closing in NY. But nothing went as planned. Trying to coordinate the two transactions did not go smoothly. To say that the past three months turned into a nightmare, is an understatement. Things were in complete turmoil with our NY buyers, and our FL sellers were getting annoyed with all the delays. Here is where Debbie sprang into action. Consistently optimistic and thorough, she was in daily contact with our NY realtors, our attorney and his paralegal, our buyers' attorney as well as the real estate agent handling the sellers in FL. She either texted, emailed or called us each step of the way. We have never met anyone with more integrity and passion for her clients. She was the bright spot in our lives during the entire chaotic process. She understood our frustration and stress and never tried to minimize our despair. She made us feel like family and tried to lighten the load on our shoulders. In short, Debbie single handedly and successfully led the way to close both real estate deals with her ultimate professionalism, her sharp mind, and her ferocious tenacity. We are eternally grateful to her for her kindness, compassion and sensitivity. With her competence, she miraculously turned a very distressing situation into the happy outcome we are now experiencing. Debbie da Silva is an outstanding realtor, a decent human being and a good friend. Thank you for everything. Debbie's background and education has enabled us to trust us with both residential and commercial purchases. She is patient, understanding and handled our sensitive and difficult purchase with extreme confidentiality and smoothness. She is a Real Estate gem! We have been working with Debbie now for the past five years and will never work with another Realtor. She has gone the extra mile for our family and friends. She speaks our native language (Spanish), understands our culture and needs and is always ready to assist us with any real estate or related question. She has also assisted in helping our family and friends find real estate in other parts of the world by referring us to agents with the same high standards as herself. We wish all Realtors had the knowledge and integrity that Debbie has. I wanted to take a minute to let you know how much Karen and I enjoyed working with you with respect to the sale of our home in Palatka. I spent over 40 years in the residential mortgage business so I have a lot of experience dealing with Real Estate Brokers and Agents. I am pleased to say that working with you on this transaction was nothing short of outstanding. From the initial listing appointment right through to the settlement, your knowledge and professionalism were second to none. We appreciated the fact that you were always available to answer our questions and give us guidance throughout the transaction. The marketing updates that you sent every week kept us abreast of the interest people were showing in the property and the feedback provided from prospective buyers was informative. Karen and I still can’t get over the fact that the Buyers closed on the property without ever physically seeing it. That is a testament to your sales expertise. The marketing that you provided was as good as I’ve ever seen in my career. The “virtual tour” that you created to guide prospective buyers through the property was incredible. The twelve page marketing brochure was superior to ones that I have seen to market multimillion dollar properties! Please feel free to show this to future prospective clients. I’m sure they will be as impressed as we were. I have had several email communications with the new owners since closing and they seem to be very pleased with the property. Thank you again for making this a seamless and smooth experience! From beginning to end, Debbie da Silva, of BERKSHIRE HATHAWAY home services in St. Augustine Beach, FL, made the buying of our new home and selling of our previous property completely worry free and actually fun. She was personally involved in every aspect of the process from developing a strategy, understanding our needs, helping with sound and creative solutions for problems we encountered. Debbie has the problem solver mindset. She has a high degree of self-motivation; she is honest and has impeccable integrity with energy and tenacity. Our dealings with other agents and potential buyers / sellers required her aggressive marketing techniques for us to be successful. She was the master of working smart; she knew how to put in the right amount of time and money and did whatever was necessary to close our deal. She has a real interest in houses / architecture, which we think, gives her an advantage over other agents and brokers. Debbie understands the local and surrounding housing markets. She was a very quick study in the area we were interested in moving to because of her network of connections not only in terms of agents, but also appraisers, brokers, home inspectors, mortgage loan officers and potential buyers and sellers. Probably the most attractive trait about our experience with Debbie was her engaging personality coupled with passion for the industry, attention to detail and her knowledge of the latest information in her professional field. Her professional development and continuing education allows her to stay at the forefront of the real estate business. She teaches real estate at a local college, which speaks volumes to her expertise and knowledge of the industry. We have bought seven and sold six homes. If we had to do it again we would call her immediately. We always recommend Debbie to anyone who is even considering buying or selling real estate. We have become friends and still stay in touch. 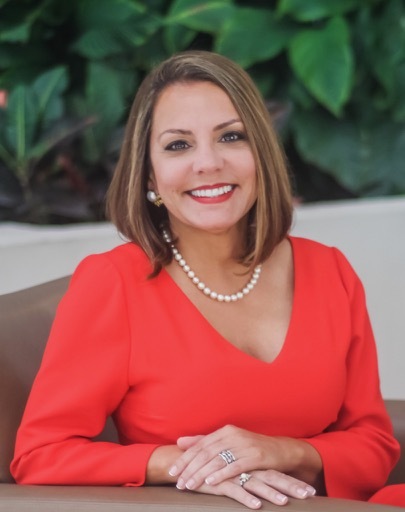 A wonderful person and joy to work with, so if you want the best there is in real estate, in our humble opinion, you should go with Ms. Debbie da Silva. "As a new Jacksonville buyer, with no agent referrals, my first local agent was assigned to me by my bank. After he told me the one property I was interested in was off the market, I decided to call the listing agent myself, out of frustration. Debbie da Silva was that listing agent, who confirmed the property was under contract, but assured me I would be her first call if that contract fell through. During our conversation, I decided she was the type of real estate professional I wanted to work with for my property search, so I made the agent switch. Two weeks later, I received that first phone call from Debbie saying the property contract fell through due to a buyer financing issue. She met me at the property that same evening, and we had a signed contract the next morning. The rest of the process was smooth sailing due to Debbie's tenacity. She handled the dual agency perfectly, and despite managing multiple clients, she made me feel as if my deal was the only deal she was focused on....if you are looking for an honest, smart, professional agent to work for you, hire Debbie! Thanks again Debbie!!" We want to thank you for all that you did in helping us find our perfect home. You were a true professional through the entire process. Being new to Jacksonville, you were patient as we explored different neighborhoods until finding just the right location. We feel very lucky to have had you as our realtor! Debbie da Silva ha sido la persona ideal para la compra-venta que hemos realizado en St. Augustine, nos ha solucionado todos los problemas relacionados con la operación, como pueden ser los proveedores de gas, electricidad, piscina, seguros, asociación de propietarios, etc.. que a nosotros nos habría resultado muy difícil desde Barcelona y por el idioma, por todo ello le estamos muy agradecidos. Todo se realizó con rapidez y eficacia y salió tal como Debbie nos dijo. Debbie habla un perfecto castellano y sus modos son impecables, es enormemente atenta y consigue que todo salga bien. Recomendaría a Debbie con total confianza a cualquier persona que quiera comprar o vender una casa en St. Augustine. Moving to a new town is always stressful. Selecting the right neighborhood for you and your family and then the right house in the right neighborhood, schools, shopping, lifestyle, amenities, new friends all adding up to one of life’s major stressful events. Most of us have all been there. Debbie da Silva was the ultimate real estate pro during my very recent move to St. Augustine. The transaction and negotiations were a little more complicated on this move than past moves in that I was working in Europe at the time, and the seller was on the west coast so we were separated by 10 time zones. My home purchase almost fell through on a couple of occasions due to communication and distance problems both on my part and the seller’s part. Debbie being the true professional always brought a sense of calm to the negotiation. This calm coupled with her re-assuring “always available” work ethic kept the deal together and moving forward which closed right on time. I owe her a great deal in making my new home a reality. One final and very important point to this recommendation is that Debbie was the seller’s listing agent! Thank you Debbie da Silva. I apologize for the delay, but thank you for all you did in representing us in selling our house in FL. There were several projects that needed to be completed prior to the house going on the market and I wanted to thank you for managing through these projects especially since we are now living in CA. Once the house was on the market I think the combination of the right price along with the photos that accompanied the online marketing provided a steady flow of showings, which resulted in 2 offers in under 60 days. Finally as you know the negotiation process was less than straight forward, but we were able to refer to the language in the contract and hold our ground to get the originally negotiated price. Overall our experience working with you was very positive as we found your knowledge and responsiveness to be exactly what we were looking for in a realtor. I want to thank you for taking care of business in the sale of our condo at the Surf Club. You are a true and deserving professional in what you do. We were wanting to be very discreet in the selection of a realtor from the very beginning, we spoke to a few and mutually decided you would be our best bet. How right we were!!. From the first time we met till the day we closed to the hour you were right there watching over every stitch of detail till the moment we closed. What more can anyone ask? My hats off to you not only as a business professional but as a genuine, decent human being. Thank you, thank You!! and the best to you and your family.